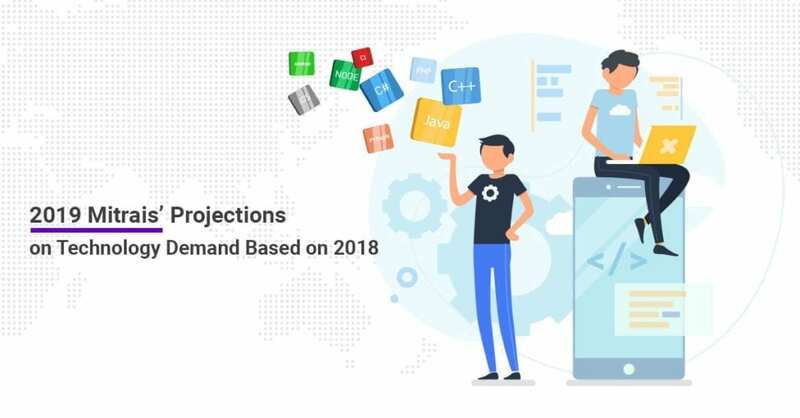 Mitrais regularly conducts analyses of requests for software developers’ skill from clients and prospects to track market demand. Overall, total demand for Mitrais software developers has increased. We think this may represent an overall increase in demand across the board (driven for instance by FIN Tech), but it could also be influenced by Mitrais’ increased market penetration over the last year. 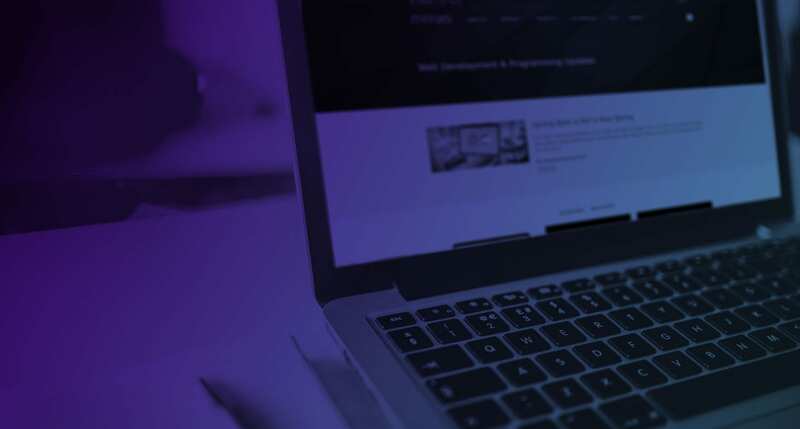 While this analysis is based on our experience, we believe that it is reasonable to extrapolate the demand we have seen for Mitrais developers in a particular technology to the industry more generally. This is a summary of the trends that we have seen in the last 12 months. For those clients building mission critical applications, the fully featured Java Enterprise Edition is still favoured by clients, while for those not needing this feature list, Spring is clearly the leader over the more lightweight Struts. Spring Boot (Spring’s smaller sibling which allows for rapid development) has shown large growth in demand and that is expected to continue. 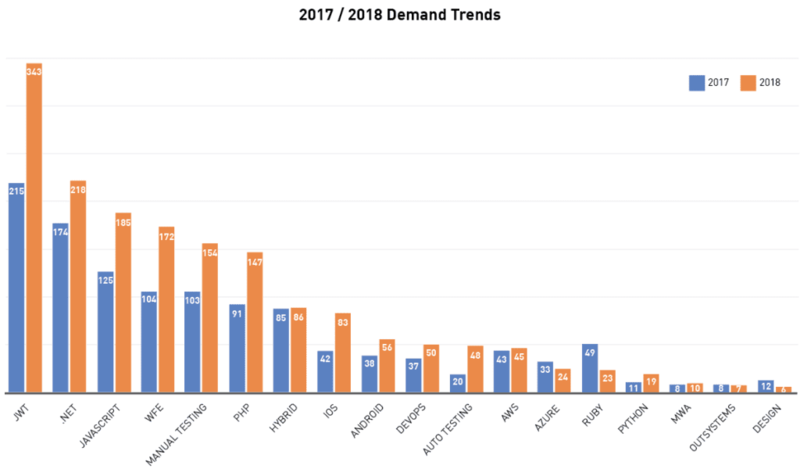 Java 8 demand is included here, as many clients upgraded from earlier versions in 2018. A similar spike is expected in the next year as the industry moves to Java 11. 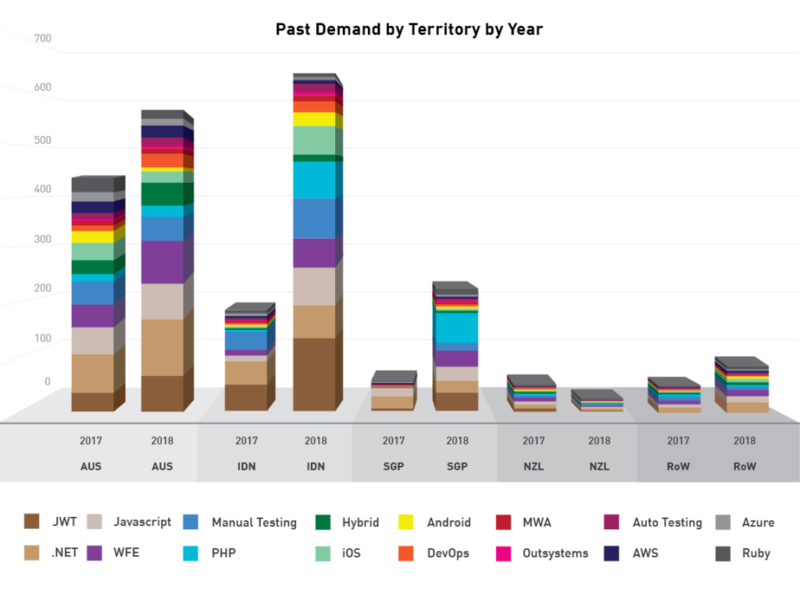 For more than 25 years Australia has been the key market for Mitrais, but increased demand for Mitrais Software Development from other countries, especially Indonesia, was particularly significant in 2018. 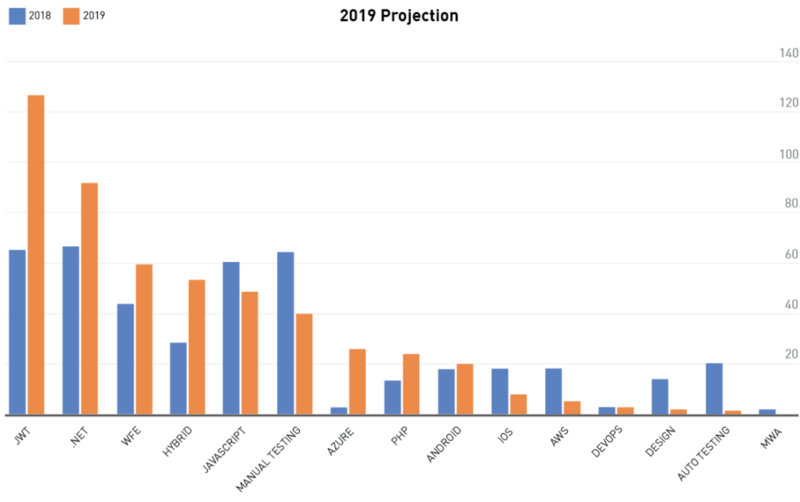 Early indications are that JWT is still likely to be the fastest growing technology in terms of requests for developers in 2019, followed by Hybrid Mobile (eg PhoneGap, Xamarin, Ionic, Cordova, React Native) and .NET.